This week’s episode of Westworld, “The Adversary,” made me rethink a lot of my opinions about this show. First and foremost, it made me wonder whether the character I thought was the best member of the Westworld ensemble might actually be the worst. That character is Dolores, played by Evan Rachel Wood, the Host whose dawning consciousness typically forms the backbone of each installment of Westworld. Tonight’s sixth episode featured almost none of Dolores and her journey to discover “The Maze” with William (Jimmi Simpson), a noble first-time visitor to Westworld who might be succumbing to the park’s corrupting charms (and who might, eventually, become Ed Harris’ Man in Black, at least according to some theories). Dolores’ journey of self-discovery has produced some of Westworld’s best moments. But “The Adversary” has zero Dolores developments and ... I was surprised to find I didn’t miss her in the slightest. Instead, for the first time since the Westworld pilot, the series focused intensely on the park’s behind-the-scenes drama. In the show’s premiere, creators Jonathan Nolan and Lisa Joy spent about as much time on the goings-on in the artificial West as they did in the offices beneath Westworld. Like Disneyland, there is an underground city beneath the oblivious guests’ feet, only in Westworld, the “cast members,” as Disney calls them, bicker and fight and screw each other, in both literal and metaphorical ways. The juxtaposition between bright fantasy and dim reality was one of the Westworld pilot’s most fascinating elements. It played perfectly into the show’s wider themes about how fictional stories (like the television show we’re discussing right now) exist at the intersection of creative impulses and market forces. But the four subsequent Westworlds mostly downplayed the office politics to emphasize the wider mysteries inside the park: The nature of “The Maze” that’s become the destination of both Dolores and the Man in Black; the full details of the new Westworld storyline that’s slowly getting rolled out by the park’s director, Dr. Robert Ford (Anthony Hopkins); the thief behind an act of corporate espionage designed to smuggle Westworld secrets out of the park through data transmitters hidden inside its robots; and the exact nature of the show’s slippery, possibly multilayered timeline. Some of these mysteries were pretty compelling at first. But as the show has progressed, it’s kept piling on more questions while providing few answers. The further it’s gotten from the inner workings of the Westworld park, the further it’s gotten from any core of humanity or reality to ground its hyper-violent fantasies. By last episode, I realized that with so little explicit about the people onscreen or the times in which they live, watching Westworld was beginning to turn me into a kind of robot, trapped in a dispassionate loop of routine. “The Adversary” brought the human element back into the mix. It didn’t answer any of the lingering enigmas about Dolores or William and the Man in Black, or the possibility of multiple timelines unfolding simultaneously and invisibly in front of our eyes. But it also didn’t tease us with answers that weren’t coming. Instead, it shifted back to the Delos employees jockeying for power over this fantasy. 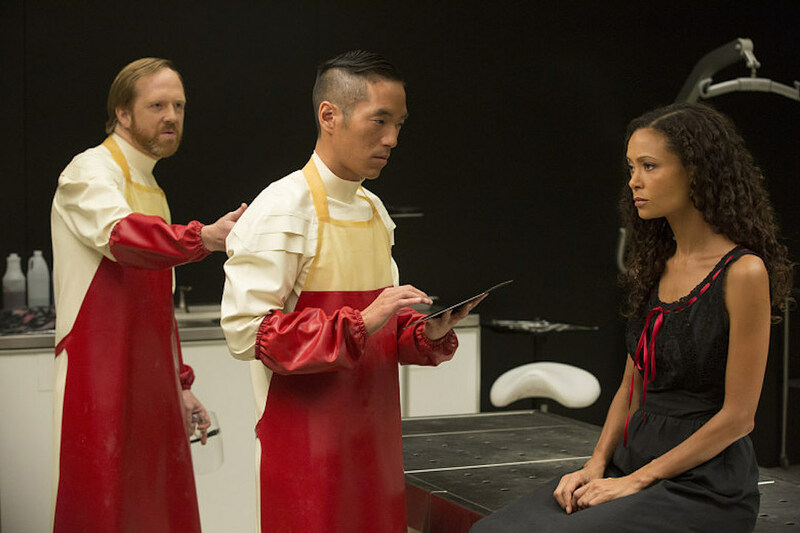 That included a significant part for Leonardo Nam’s Lutz, whose major screen time last week set up his storyline this week with Maeve (Thandie Newton), the other Westworld robot beginning to discover that her reality is an artificial construct designed to serve others. Lutz’s scenes last week felt superfluous but here his tour of Westworld’s underground levels (which sure looks like a maze from certain angles) provided “The Adversary” with some of its best scenes. It also delivered some concrete details about Westworld’s layout (the design department, for example, is on Level 8). Maeve also watched a promotional video for Westworld that featured the phrase “Live without limits,” a prophetic line given the end of tonight’s show, when she blackmailed Lutz and his co-worker Sylvester (Ptolemy Slocum) into boosting the numerical values of various aspects of her personality and intellect. Watching this repressed woman (or oppressed robot in female form) discover her power and come into her own, while running intellectual circles around two dopey men, is a pretty magnificent sight. It seemed like the whole show’s personality was boosted by the return of Lee Sizemore (Simon Quarterman), Westworld’s head writer. After Ford rejected Sizemore’s idea for a new park narrative, the character’s been mostly AWOL from the show. He’s finally back in action in “The Adversary,” drinking away his troubles and griping about his creative frustrations with Sidse Babett Knudsen’s Theresa Cullen. Sizemore may not be the most morally complex character on Westworld, but I find that the entire series has more energy when he’s around. He has clear and relatable wants and desires. He doesn’t talk in riddles or hint at dark mysteries that our fragile minds cannot possibly comprehend. He’s also a bit of an a--hole. He is, in other words, the most human character in the cast. The most monstrous character in the cast at this point probably isn’t the Man in Black, despite his ongoing love of violence against robots, but the man (or god) in charge of it all, Dr. Ford. 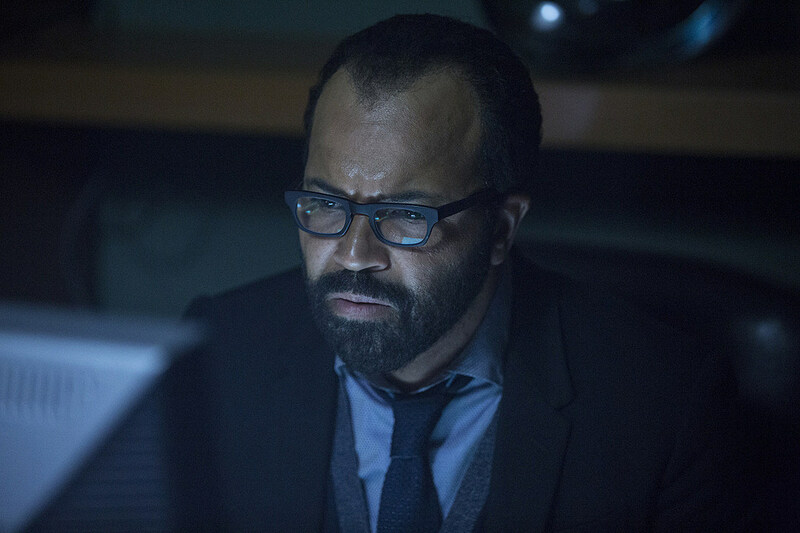 In this episode, the investigation into possible data theft in the park leads Bernard (Jeffrey Wright) to an uncharted area of Westworld where Ford has recreated what he calls his “only happy memory” from childhood, a vacation with his family. The hosts in this little cottage include the young boy in the vest that Ford met wandering the park earlier in the season, confirming my (and many other viewers’) speculation that this character was a young version of Ford himself. Ford’s former partner Arnold supposedly built theses hosts as a gift (a dubious claim); Ford says he kept them up and running in this private section of the park to preserve this glimmer of joy from his past. The hosts of Ford’s family also don’t respond to Bernard’s voice commands, which feels like ominous foreshadowing for a future robot rebellion. The same could also be said for the boy robot of Ford killing his family’s dog. In six episodes we’ve come a long way form Bernard’s claim that the park’s hosts couldn’t even harm a fly. Young Ford claims he was told to kill the dog by a voice in his head, specifically Arnold’s. And Arnold is supposedly to blame for the data thefts in the park, at least according to what Shannon Woodward’s Elsie Hughes discovered before someone grabbed her. So who’s masquerading as Arnold? Or is Arnold not dead after all? Who grabbed Elsie? That’s three more questions to throw on Westworld’s growing pile of unanswered ones. And that’s fine; great, in fact. When the characters and their dynamics are as strong as they were on this episode, it’s fun to have some mysteries in the mix as well. Let’s see what happens to that mix when Dolores inevitably returns next week. -Favorite out-of-context line: “Creatively speaking, I’m flaccid now.” Apologies in advance to my co-workers when I start saying this in staff meetings. -I love that the robot of Ford as a child wears a vest too. Characters in movies and television shows played by multiple actors at various points of their lives always wear the same clothes (and sometimes the same haircut) to show they’re the same person. That’s just life, guys; 13 year olds and 76 year olds always dress exactly the same. 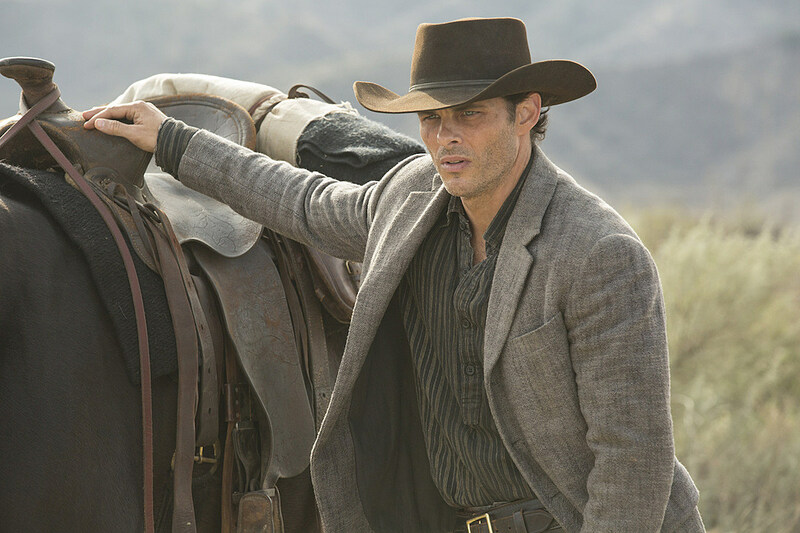 -Didn’t have room to discuss the Man in Black and Teddy Flood (James Marsden) in this recap, but their big scene was Teddy’s description of “The Maze” that they’re searching for, as recounted to him from some kind of legend. “The Maze itself,” he says “is the sum of a man’s life. The choices he makes, the dreams he hangs onto. And there at the center is a legendary man who’s been killed over and over again countless times. Always clawed his way back to life. The man returned for the last time and vanquished all his oppressors in a tireless fury. Built a house. And around that house he built a maze so complicated only he could navigate through it. I reckon he’d seen enough of fighting.” Who is Teddy describing here? Arnold? Lawrence? Himself? Nobody gets killed in Westworld more than Teddy. And he sure has some tireless fury with that gatling gun.